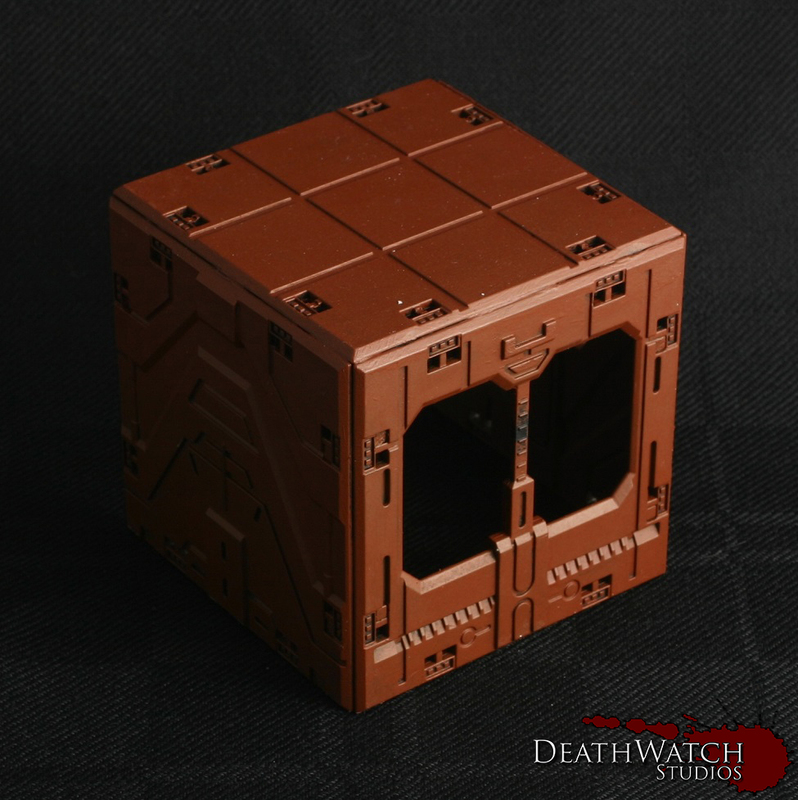 I wanted to share how I achieved the bases for my Necromunda models. 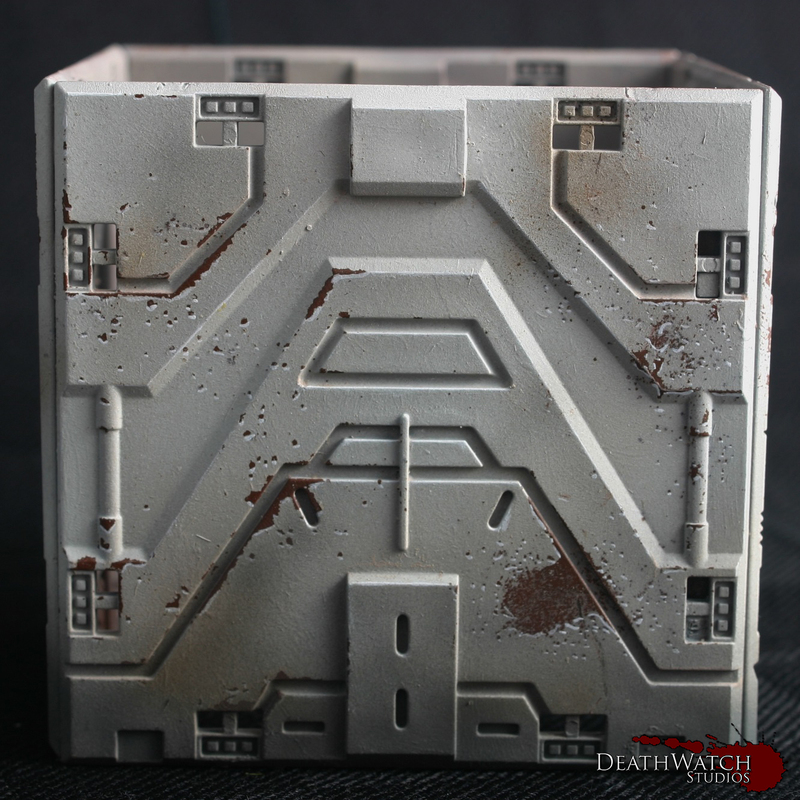 I wanted something a little distinct from the usual metal bases and what better way to do that than ancient rusted up bases. 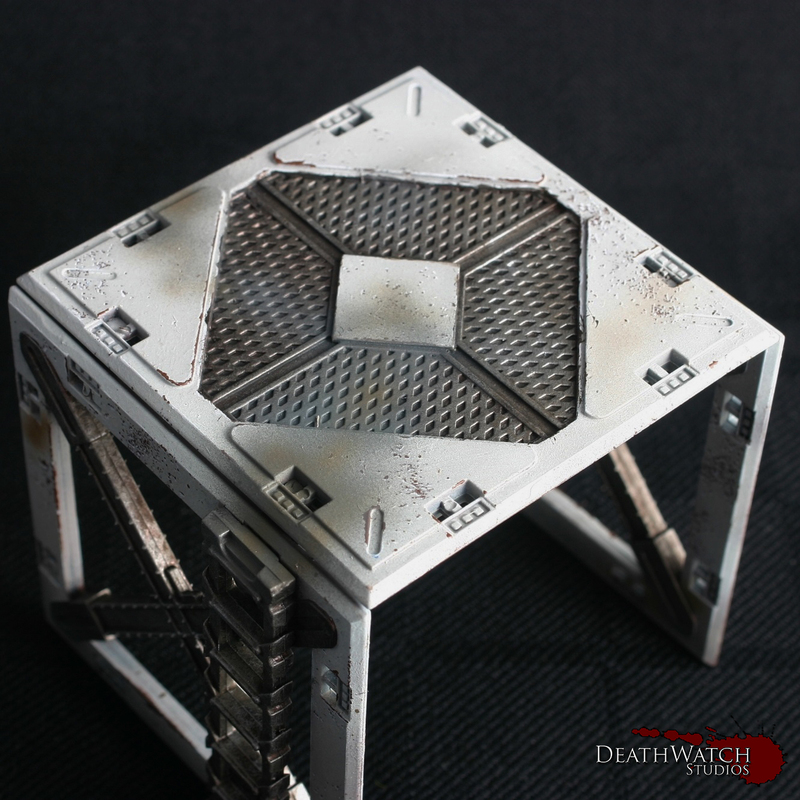 I also added a wee touch of spot colour, with the green ooze under the grates. I began with a basecoat of Mournfang Brown. 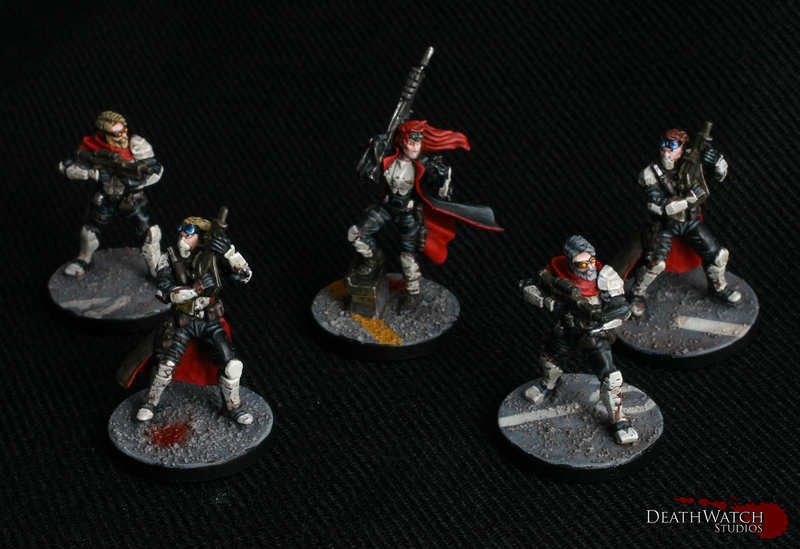 This was followed by a heavy drybrush of Skrag Brown. 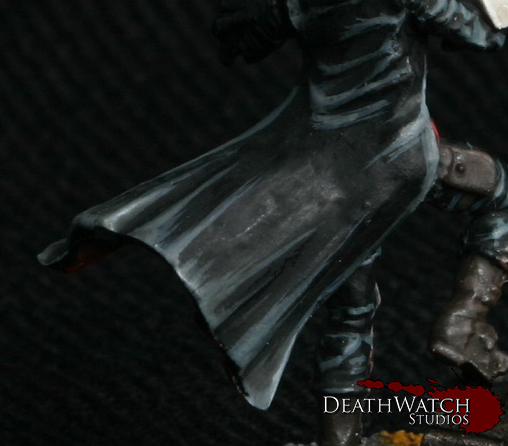 Then apply a lighter drybrush of Deathclaw Brown. Apply an edge highlight to all the hard edges and stipple small amounts over the flat areas. Make a mix of 1 part Moot Green to around 3 parts water and flood the grating up to the level of the higher lip. Make a mix of 1 part Gauss Blaster Green and 3 parts water. This time use the mix to flood only each individual section. Make a mix of 1 part Guass Blaster Green and 1 part Ceramite White. Apply carefully down the centre of each rectangle and along the edges. Apply a light glaze of Waywatcher Green. 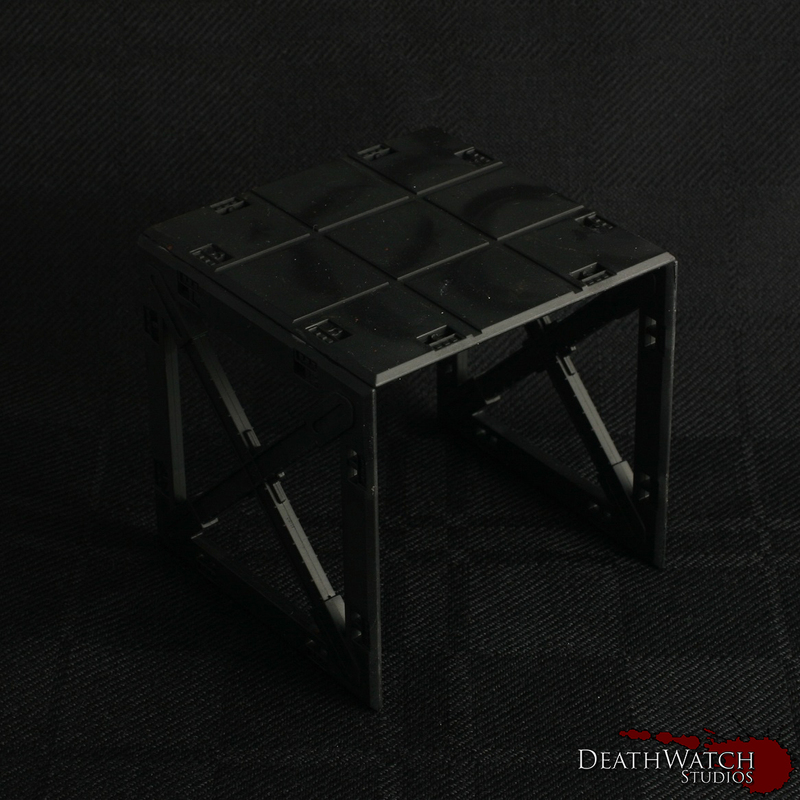 Apply a layer of Abaddon Black to the rims. 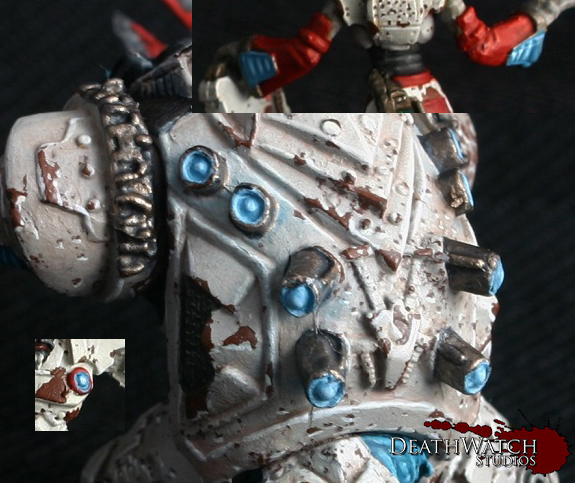 I used Kromlech’s Soot Black pigment to add a touch of weathering to finish off the bases. 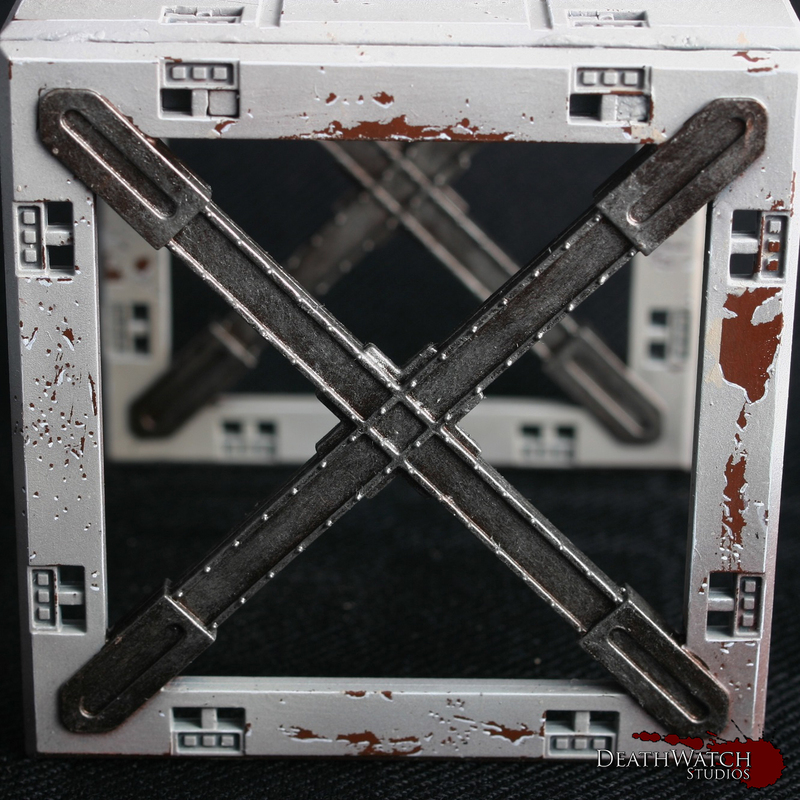 You should now have some funky bases for your gangers. 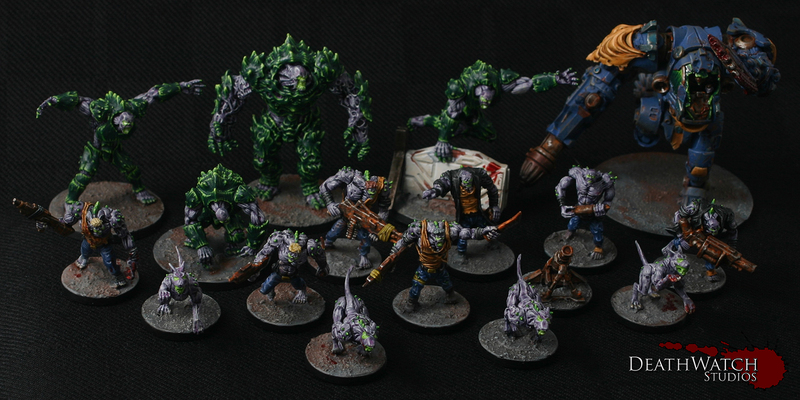 I’ll be back soon with some more ideas on how to base your gangs. 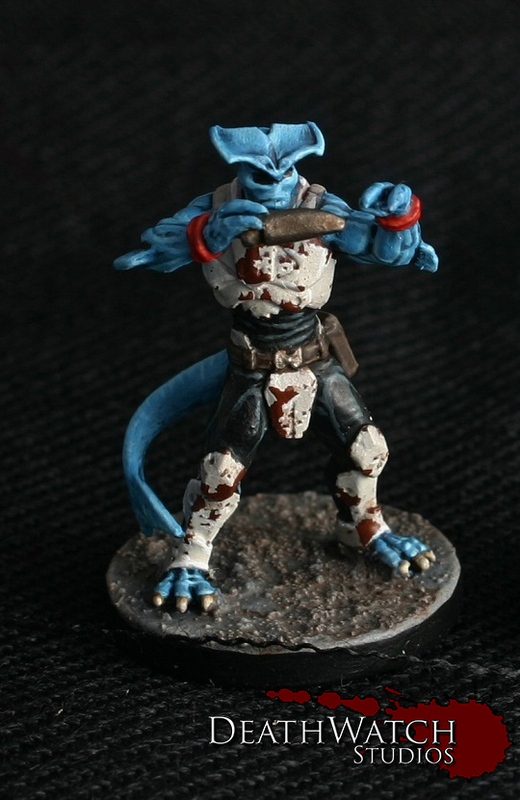 This guide is ideally suited for painting the bases I showed you how to make in this tutorial. 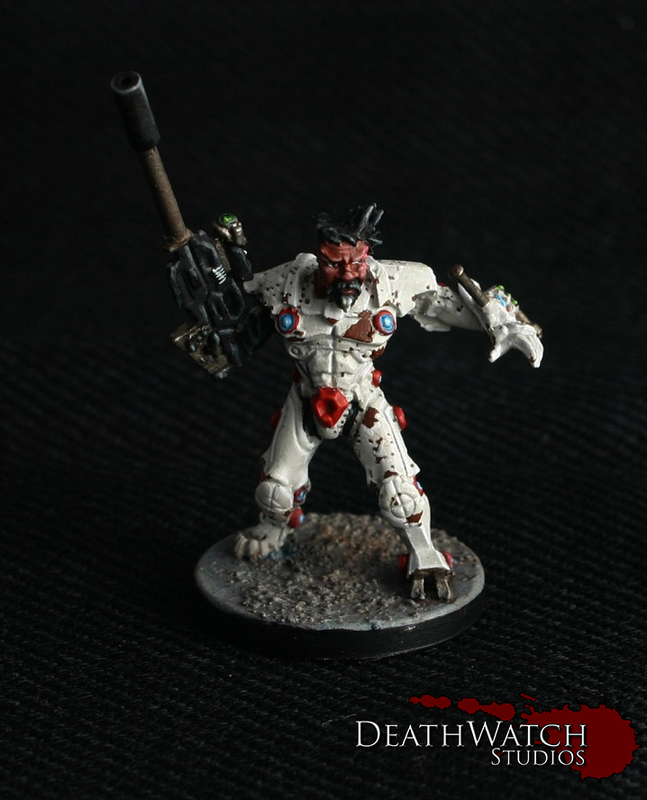 I’ve used the same basing technique for both my Azog’s Legion and my White Council, but with a few subtle changes to the painting in order to give them a different character. I’ll be going through the stages for both in full but there are only a few differences between them, but you’ll notice from the picture they end up looking fairly different. All of my guides and articles will continue to be free and open for use by anyone, but if you did find this guide helpful why not buy me a coffee? Glowy Green Faces: Add a coat of watered down Moot Green on and around the eyes and mouth. This should be about 5 parts water to 1 part paint. 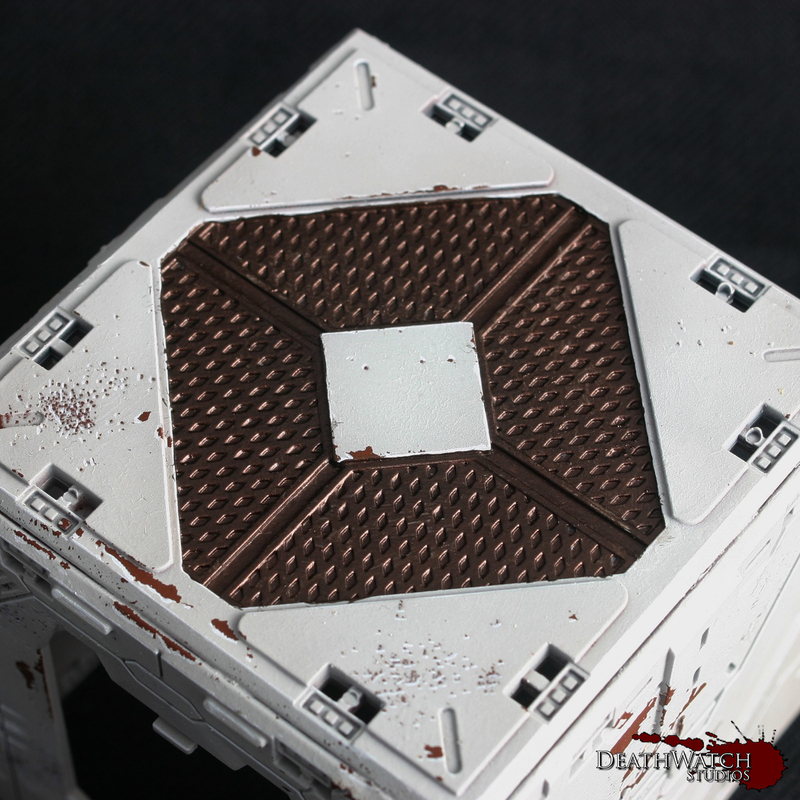 Bases: The first step for my bases was done before any undercoating and was as simple as adding a coat of the GW texture paint Astrogranite. 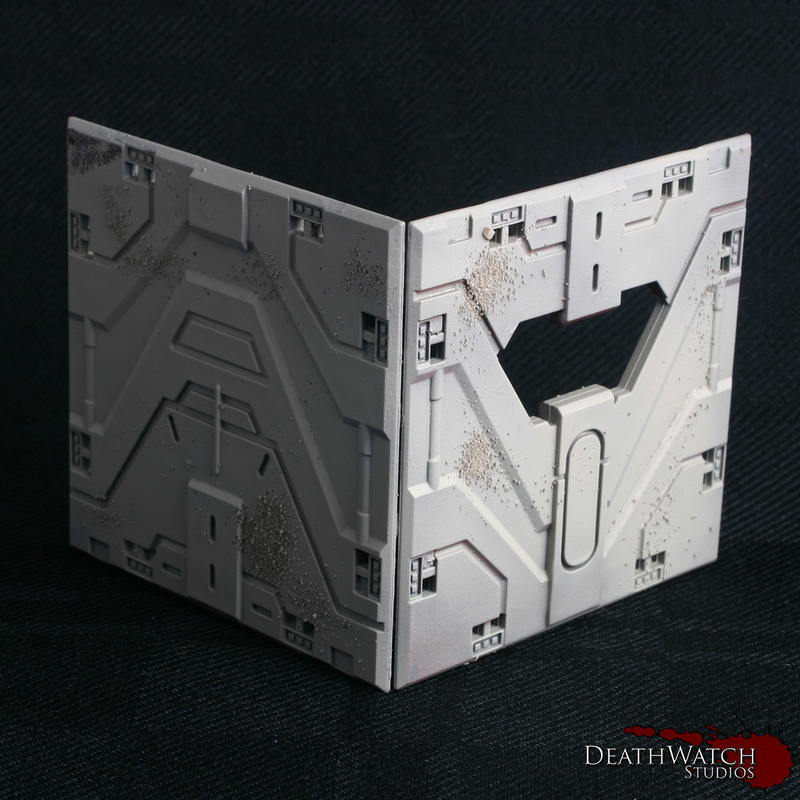 This gives it the texture, but with enough spacing between them to feel like a concrete surface. It also has the added bonus of filling and hiding the seam around the circular section around the feet and the slot in the base. 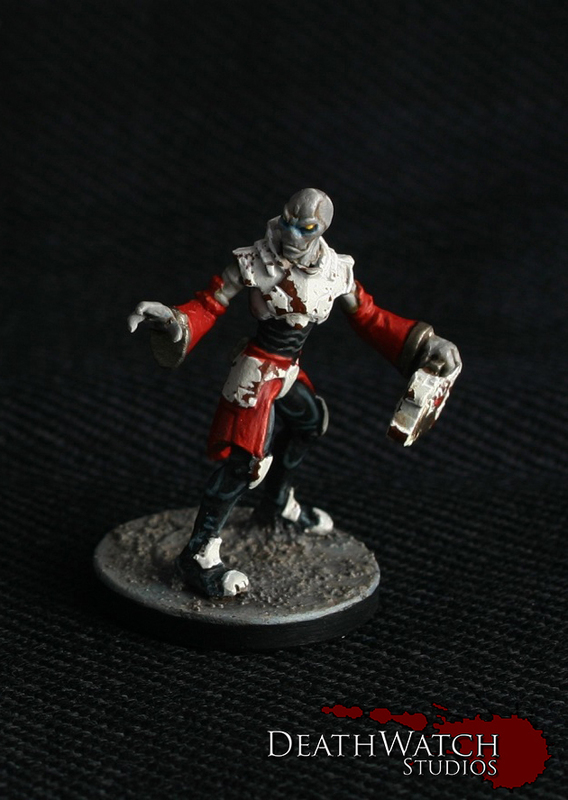 Once the rest of the figure was painted I then moved onto the base as the last step. 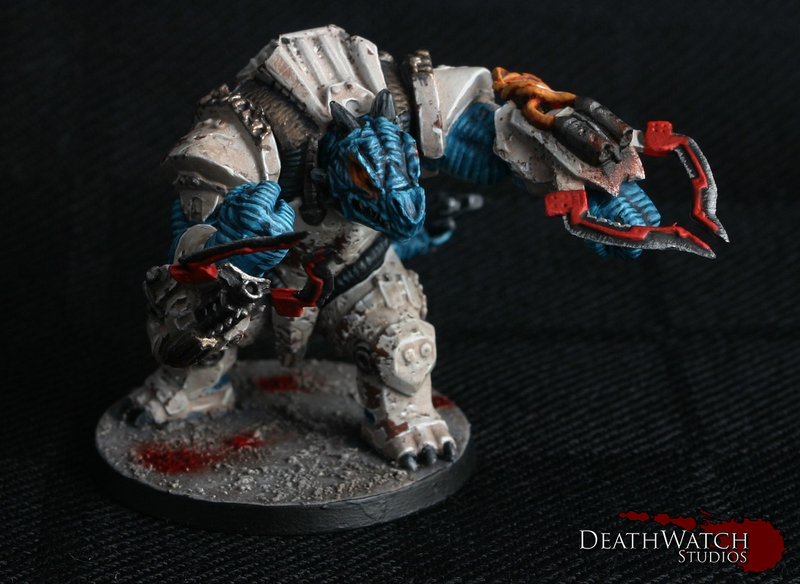 I then added small patches of a 5:1 mix of Water and Doombull brown to add further variation. Finally I painted the rims of the bases black to tidy them up a bit. 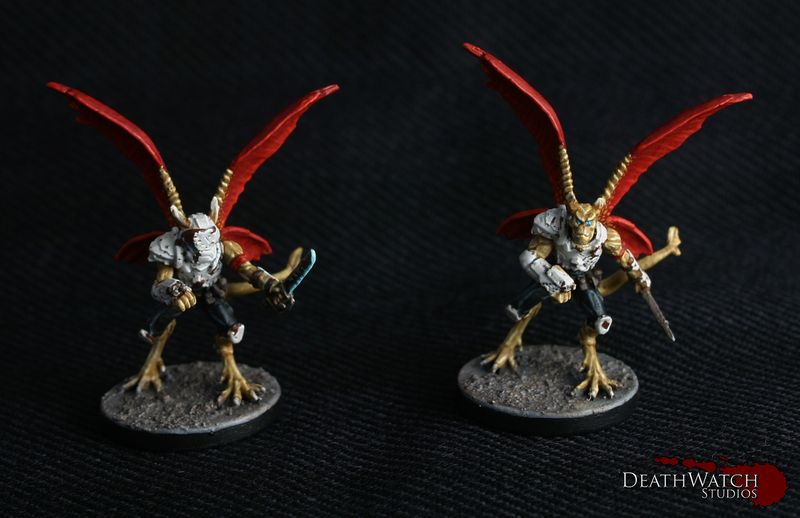 Here’s a guide as to how I panted up my Rebs Force. 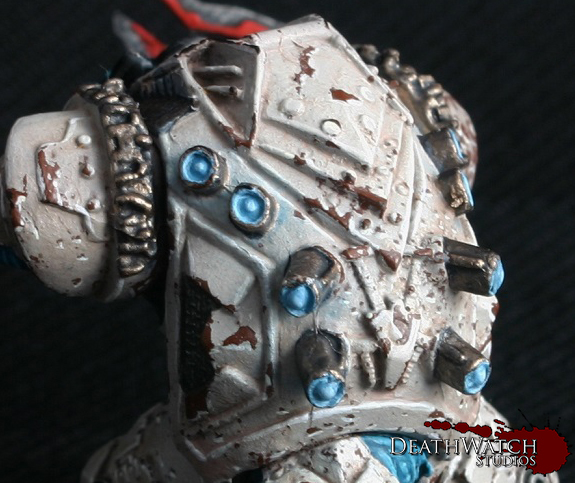 Armour: The armour was painted in the same fashion as my Deadzone terrain. Take a look HERE to see how that was acheived. 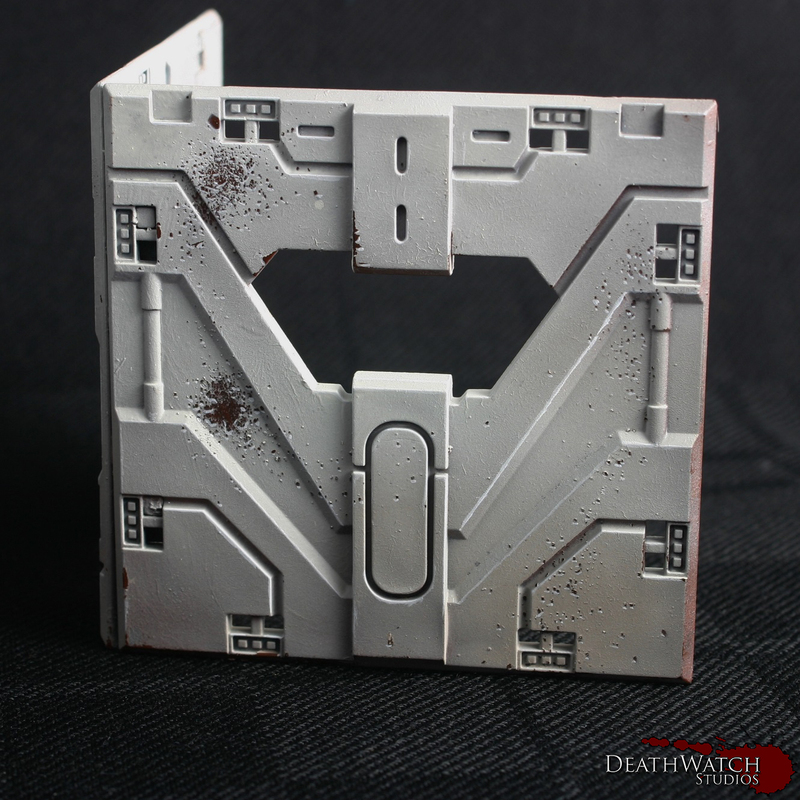 Continuing on from the other days post on the Deadzone terrain; Part 1, I’m going to continue to show you how I painted up my set of terrain. 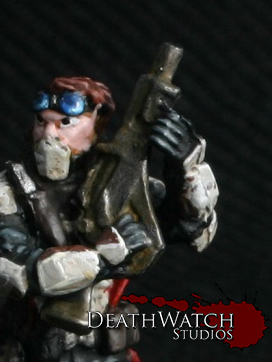 We left off with the salt still on the model, but the main colours laid down. Removing the salt is a fairly easy process, all you need is a mug of hot water and a light brush. 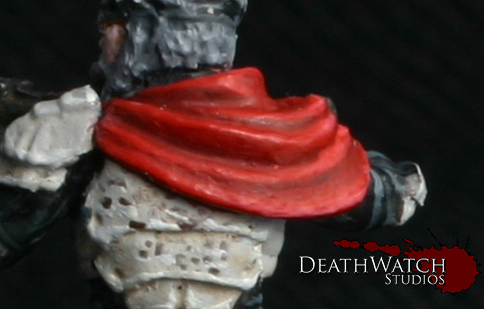 The first step is to paint a coat of water over the whole of the model very gently and leave to soak in for a few minutes. Following this it’s a case of wetting the brush and lightly going over the areas where you can see salt. It should start to lift off fairly easily. 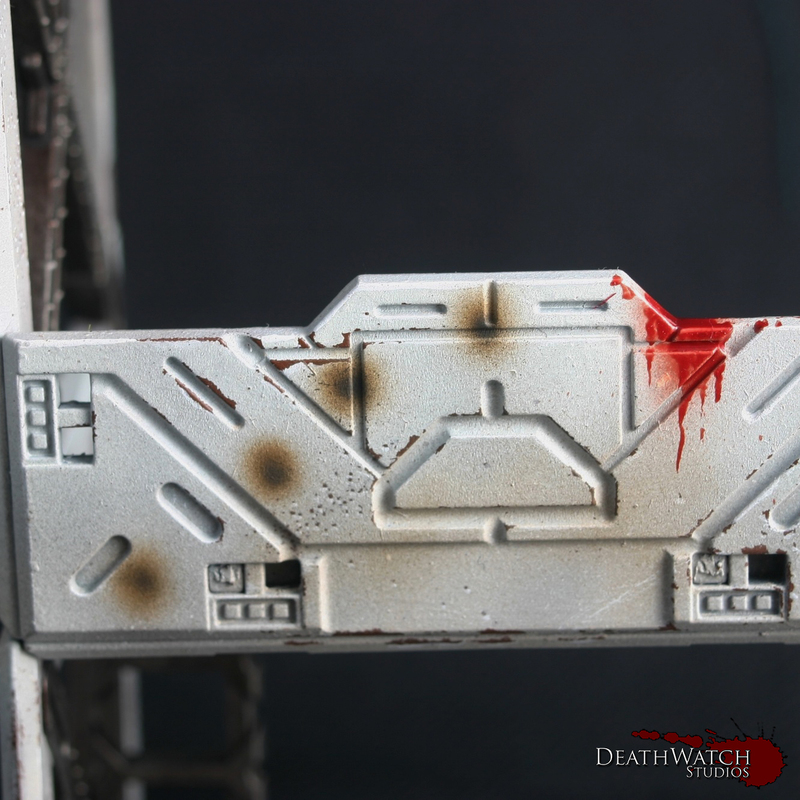 For some more pronounced areas of chipping you can use a harder brush, such as a drybrush, to brush away the paint rather than just relying on the salt to give the effect. 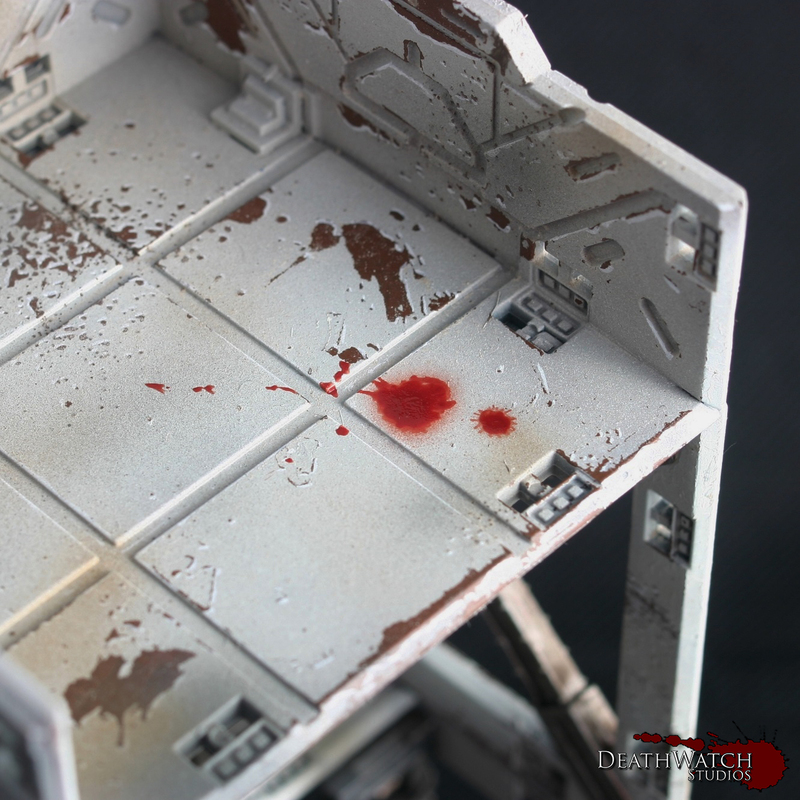 Most of the larger areas you’ll see on my terrain were created by doing this. Once you have the desired areas taken away it’s worth leaving the model to cool and then give it a quick rinse under the tap. This helps clear away any residue left over by the process. 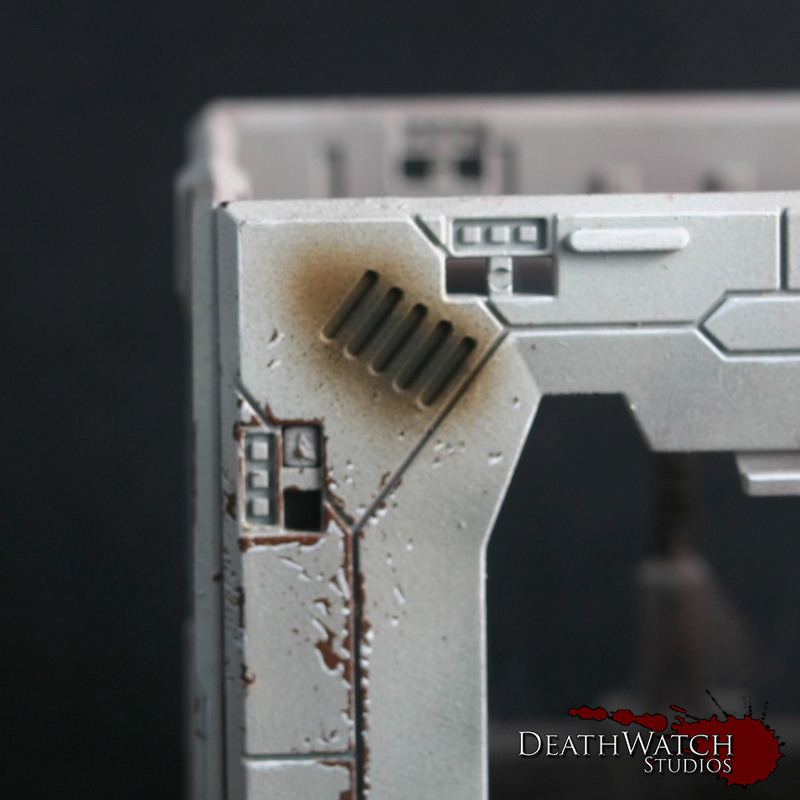 To finish this off and tone it back a little it was then given a wash of Agrax Earthshade. 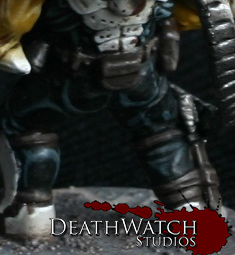 I then added some black to the mix and added a smaller amount in the centre to finish off the effect. The final thing I wanted to add was broken windows. 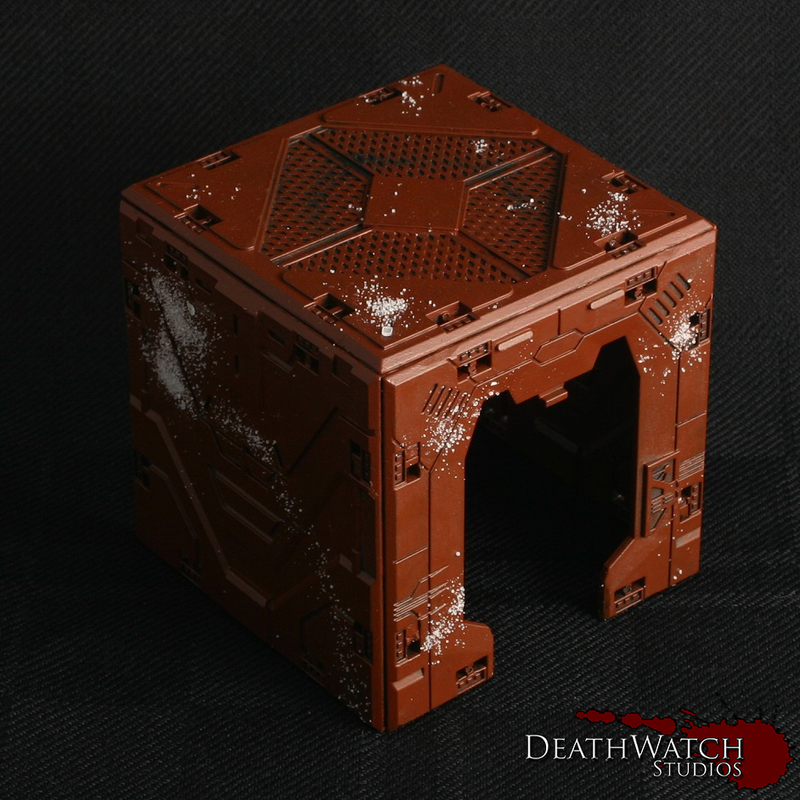 I can’t remember where I first saw this being used with the Deadzone terrain, but the idea just grabbed me and wouldn’t let go. 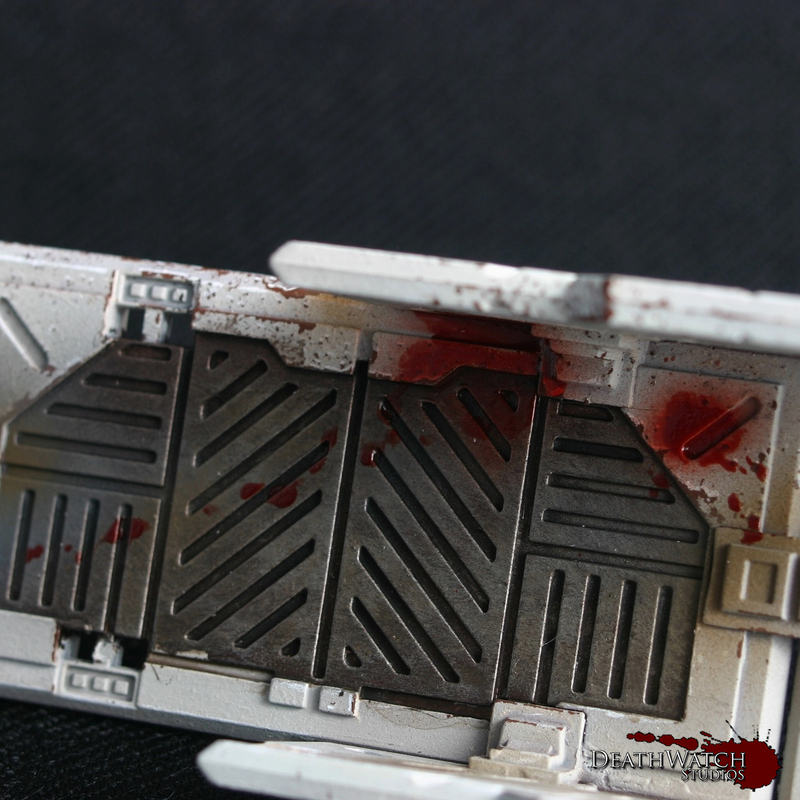 And that, my friends, is how I did my Deadzone terrain. If there is anything you think I may have missed or if you would like me to expand on anything just let me know in the comments. I’ve been working through getting all the terrain painted up for my set of Deadzone and wanted to give everybody a run through as to how I have been doing it from start to finish. This first part will be focusing on the main colour whilst I will be doing another couple of parts later on this week on the rest of the main colours as well as some of the detailing. 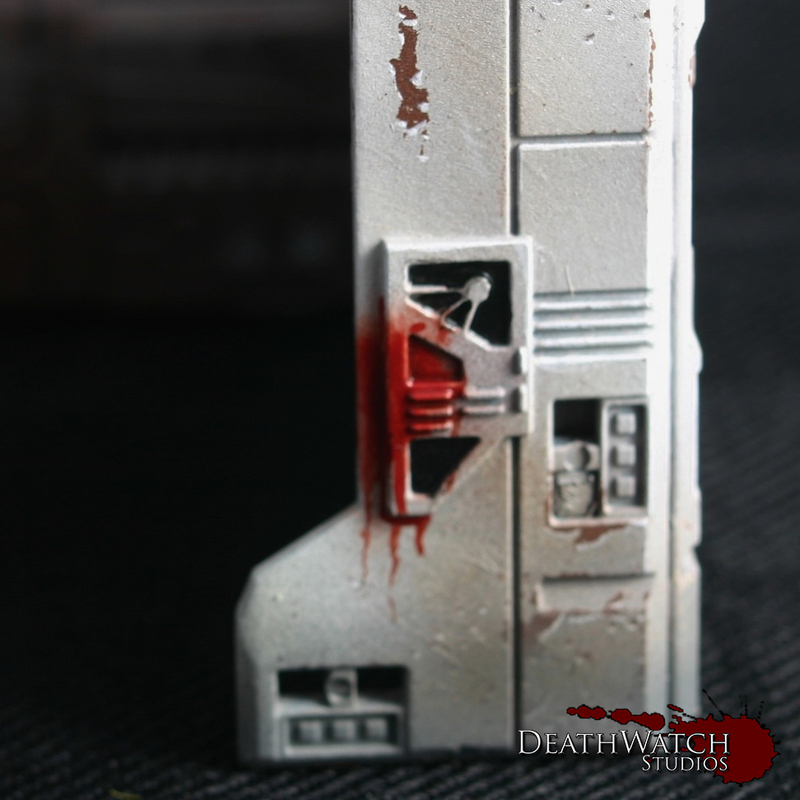 Construction: Before starting the painting I chose to glue all of the buildings, barricades and structures together. 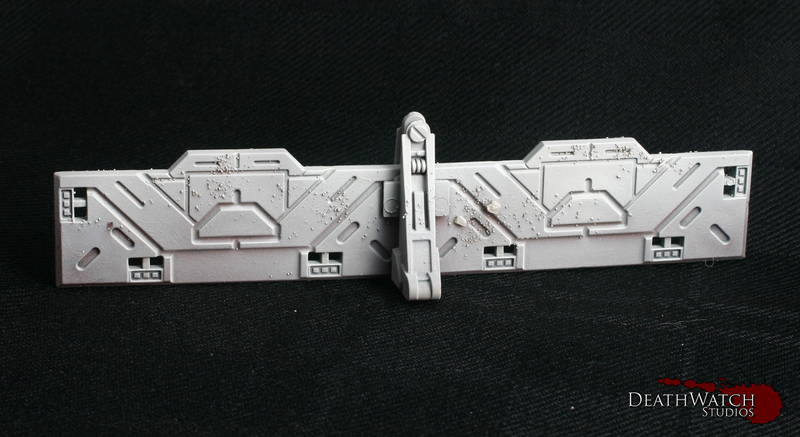 Whilst the clips are a useful idea ie being able to dismantle terrain after each battle/build them in different configurations, I felt this would be far too time consuming as well as leading to damaged clips needing replaced on a regular basis. Whilst I still used the clips in most instances to add some strength in areas, some sections where just glued on where there was enough support already (ceilings primarily). The only sections I didn’t glue together were each story of multi story structures. 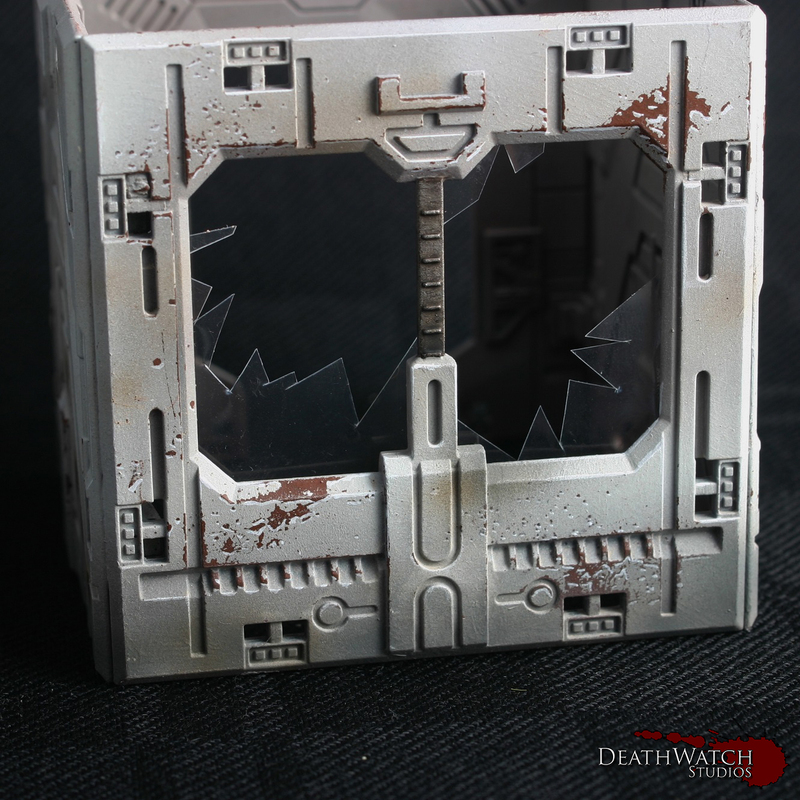 This allowed a bit more flexability when playing games, if for instance someone wanted to place a model inside, they didnt have to squeeze them through a window or door. This is were I began the saltmasking, a technique I’ve used on all of my Rebs and a fair bit over the last few months. The first tutorial I used to get some help with this was found on Youtube, and you can see this here. 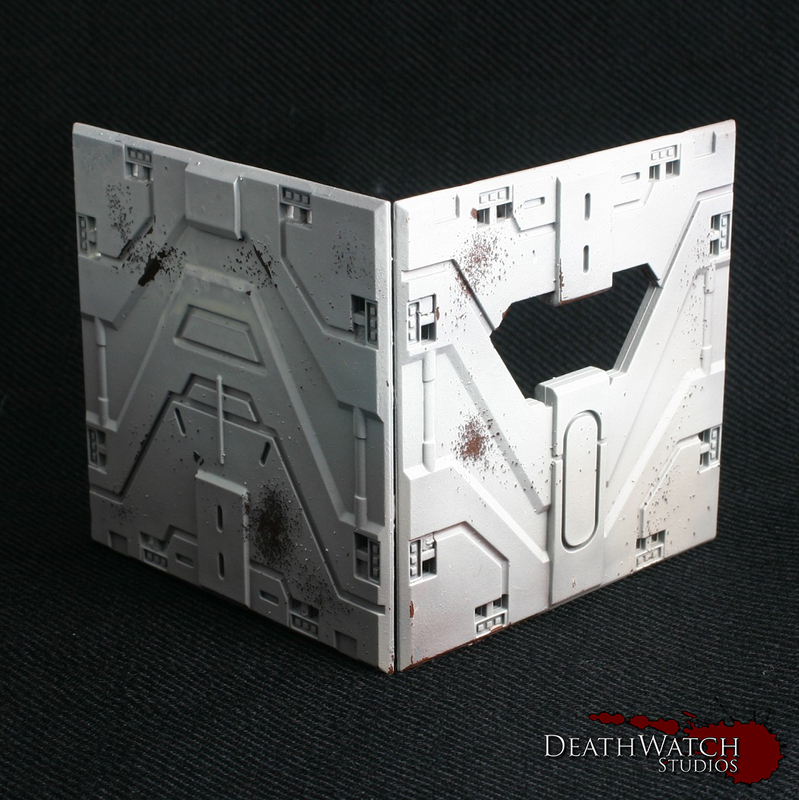 I also found Whitewolves blog entry for this fairly useful, especially since it was the same kit. The terrain is now ready to have the salt removed and then onto some proper painting :), which I’ll be going into in the next part.